Technology isn’t just having the latest gadgets to enjoy; it’s also the ability to harness value and use it to the fullest to improve your life. This is the guiding force for MaxLife, Kansas City’s leader in technology-based weight loss, body balancing, health and wellness. Thousands have employed the MaxLife Weight Loss & Body Balancing™ exclusive formula to develop a healthier and happier lifestyle through technology-based weight loss and body balancing delivered through individualized plans. MaxLife Weight Loss & Body Balancing is an exclusive, step-by-step program delivering maximum impact as it provides you with the fundamentals to get your body back into internal balance. State-of-the-art technology drives the program that provides a roadmap to success. This is not a diet, but by addressing internal critical health factors, weight loss and other health improvements will be a byproduct of your body in balance. According to Dr. Darin, MaxLife is affordable. For as little as $145 per month, you can enroll in the program and enjoy the benefits of optimal internal health. The program’s central focus is to help you regain your health, enabling you to feel better. Patients experience increased energy levels, better overall mood, weight loss and better sleep patterns. Some have even discontinued medications or significantly reduced them as they overcome their health challenges. The key is returning your body to a state of internal balance so it can function as it is meant to function. According to Heather, it begins with the MaxLife BioMetric Body Analysis, which is a snapshot of your internal critical health factors. This initial consultation is valued at $100, but you can receive yours at only $30. The MaxLife technology evaluates the speed of various impulses as they pass through your body to produce a complete assessment. Critical factors are measured to within 99.9 percent accuracy. You’ll discover your BMI; body fat percentage; body water and water percent; visceral fat; and metabolic age. 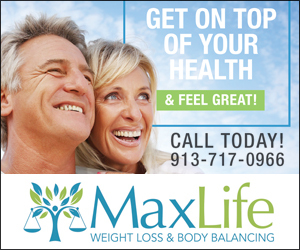 The MaxLife Body Balancing Programs are one of the newest advancements in natural health and healing. Body Balancing can help remove harmful toxins, balances your hormones and helps patients reverse health challenges such as excess weight, diabetes, sleep apnea, thyroid disorders, fibromyalgia and autoimmune issues. MaxLife’s Metabolic Body Balancing technology targets your hormone imbalances to determine the source of your weight loss challenges by bringing your body back into cellular balance. 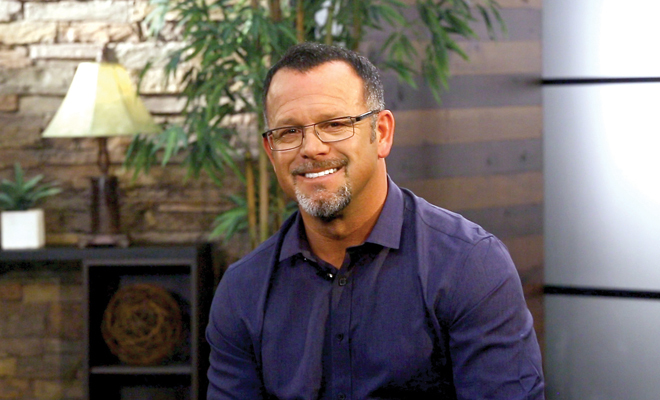 Dr. Darin shares that the MaxLife Weight Loss & Body Balancing system is safe, fast and effective. Your body will eliminate harmful toxins, balance your hormones, increase thyroid function and reset your metabolism as you lose unwanted unhealthy fat at unbelievable fast pace. Typical results report patients losing 15 to 30 or more pounds in just 30 short days, and the outcomes are a success for everyone who follows the program. 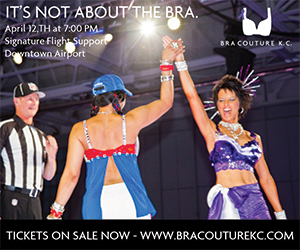 To learn more, visit the office at 11012 Quivira Road, Overland Park, Kansas, maxlifebody.com or call 913-717-0808.